Are you wondering how to shoot the best speaker photos and video footage, when presenting at events, conferences or groups? Do you want to maximize your next speaking opportunity with some high impact video segments and photos opportunities? If yes, this article is perfect for you. I will be covering what makes a great shot angle, how to find someone to film, where to do the shots and what to do to get the best video footage. Why Speaking Pros Never Do This and Why You Shouldn’t Do This Either! Want to Co-Host a Live Event or On-Line Program? 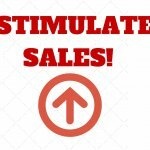 "Learn Now How to DOUBLE or TRIPLE Your Speaking Results ... and Your Revenue"
You maybe here because you... have a speech to give that could make or break your career? 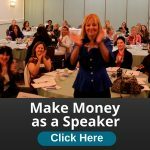 Are realizing speaking can help you create consistent clients and income? Have to pitch a new business idea that needs funding? Feel like you are called to speak and you realize it is now or never? While these are all different experiences and desires, they all require expert guidance. Get help and click on the button to apply now for a 30-minute complimentary strategy session. Copyright © 2004–2019 AmondaRose Igoe All Rights Reserved.